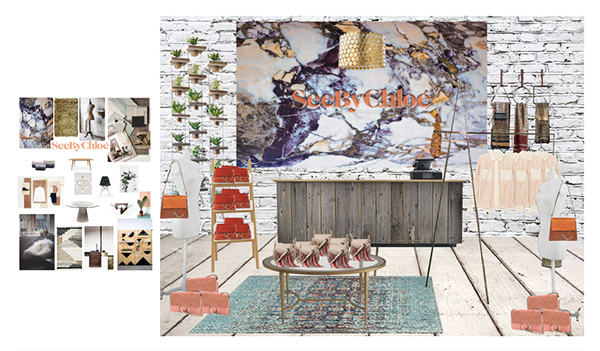 Pop-up shop concept created for Chloe. Designed inspiration page and used it as inspiration for the rendered version. Chloe Pop-Up Shop Design. Created using photoshop.